I want my own chiffon reveals! Thanks for the interesting take from your perspective on Susan Boyle’s appearance. Especially interesting to learn that Susan was behind the curtain while her fans were speaking about her. As for Susan not interacting with you all, she would have been very nervous before singing – like most singers – and probably concentrating very hard on what she was about to do. It’s also not that common for big-name artists to interact with musicians in a “pick-up” group like this. The couple exceptions I can think of were Mel Torme and Bjork, both of whom worked pretty closely with us to get the sound they wanted. Of course, the difference there is that we could actually be heard. I certainly wasn’t put out that Susan didn’t say much to us, and wouldn’t have expected it, anyway. And I truly hope she’s having a good time, and that she’s able to stay in control of her career. Thanks! Always nice to get an inside view of these things! Thanks for your inside view of Susan’s appearance. But are you sure we were hearing the track and not you all? I would think they used so many violinists (instead of 2 or 3) was so you wouldn’t need to be mic’d. Also could there have possibly been a couple mic’s overhead that you didn’t notice? That’s what they do here in Kansas City when our orchestra performs, use overhead mic’s and not mic the individual instruments. They told us we weren’t mic’d, so we’re definitely there for the visuals. I’m not as sure about the choir, as I remember seeing two mics on either side of the stage in front of them. I’d be surprised if those were really in use, however, as the room was pretty noisy with all the equipment and fog machines and fans, and the choir mics seemed too far away to get clean sound. 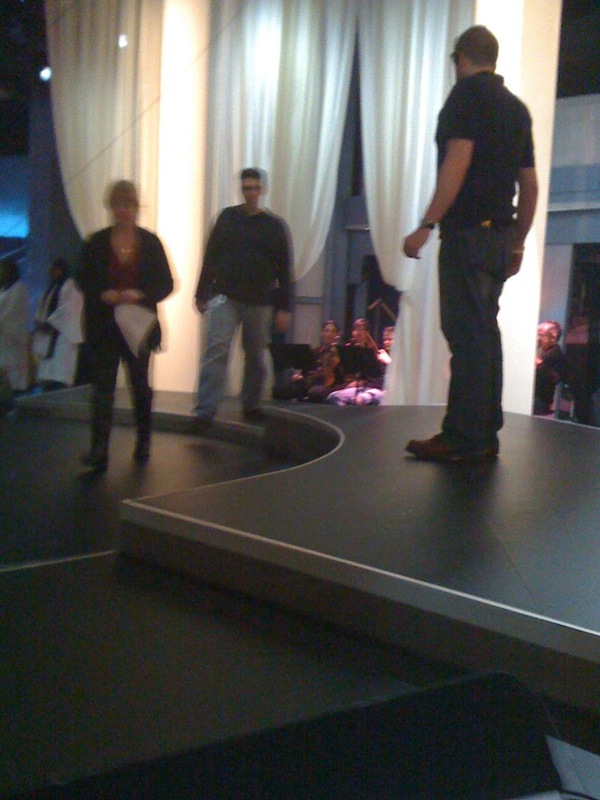 Susan was right on top of her mic, of course. Do you play in the KC Symphony? I have a couple friends in that orchestra. 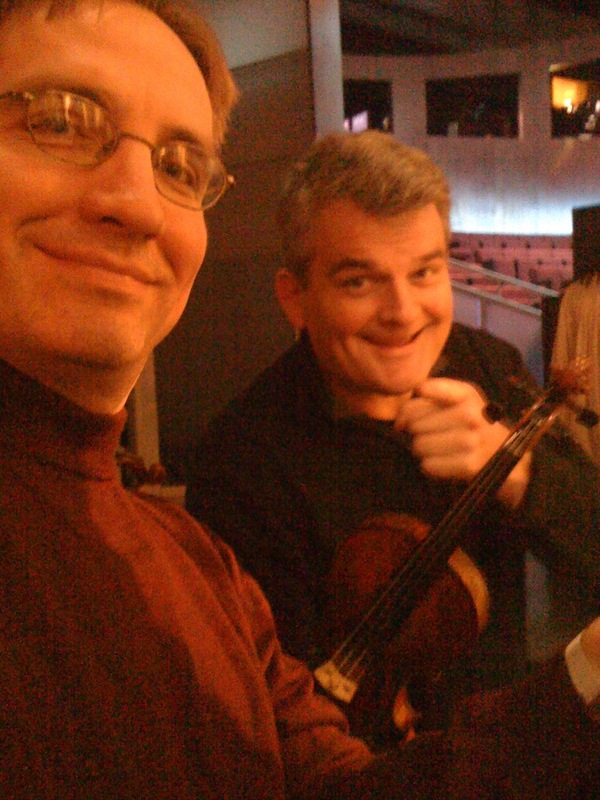 Thank you, Dave, for writing about your experience playing violin for Susan Boyle on Oprah. 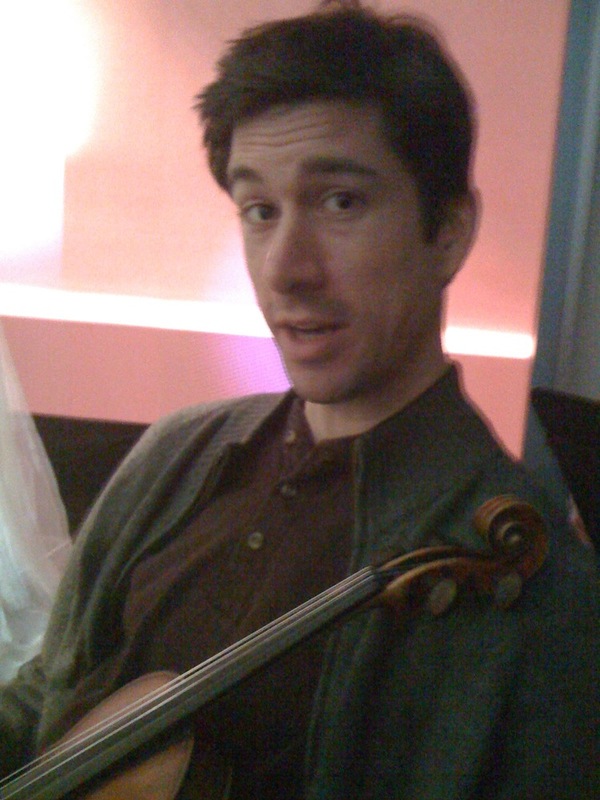 Thank you for your years of practicing the violin to be able to play for Susan. Your performance of Who I Was Born To Be with Susan Boyle was wonderful and very moving. I needed Kleenex tissues. Thanks for writing about this special time. We Susan Boyle fans really appreciate it. I am curious, do you feel that Susan was being exploited any more than the other musicians? I think exploitation can be both good and bad. And Boyle is certainly exploiting this moment herself. Heck, so am I! But we’ve all seen the ugly side over the years as well. Cool post, Dave. Interesting. What a neat experience you got to have! * I’m not sure what that means. as far as shooting for coverage is concerned… I’m sure they had enough cameras rolling and as each camera is iso’d (isolated, as in being taped independently) they were able to go in a fix whatever missed shots there were, if any, in post. I’ll bet you’re right about the choir, too. Why would that be live if you weren’t. I also heard other backing tracks… drums, bass, etc. I must admit, though I’d heard of her, I’d never actually heard her sing. I just went back and watched her audition for Britain’s Got Talent on youtube. WOW! I can’t believe she made it that far in life without someone noticing she could sing like that! Pretty cool to play with her, though that Violin part looks a touch boring. Hi Dave! What a cool experience for you and what a touching write up. Thanks for describing so perfectly what it was like for you. I’m all emotional now. Love your write-up, Dave. It will be fun to pass this along to my friends & tell them my cousin’s son is the shiny purple spot behind Susan’s shoulder! Dave, what fun! But allow me to weigh in in the “exploitation” debate, which seems to have raised some discussion. I think you have mixed up “exploitation” with “capitalization” . . . especially in your follow up comments in which you say “exploitation” can be a good and bad thing. “Capitalization” of an opportunity can be a great thing everyone one involved: Susan Boyle, the Record Company (aka the evil corporation “exploiting” her), Oprah Winfrey, “we” the audience who enjoy her story, and every one in between. We have all capitalized on this chain of events. “Exploitation” is taking advantage of “capitalization” in an unfair way: such as child actors who say they wished they had never been on TV (Gary Coleman anyone?) They were “Exploited” both by the corporation that hired them AND the parents who made the ultimate decision that the child actor was denied. Those who are exploited either did not have a part of the decision, or were mislead somehow. My analysis may be flawed somewhat . . .but I am certainly not going to lose any sleep over the exploitation of Susan Boyle. If living your dream means being exploited, than sign me up to be exploited please! 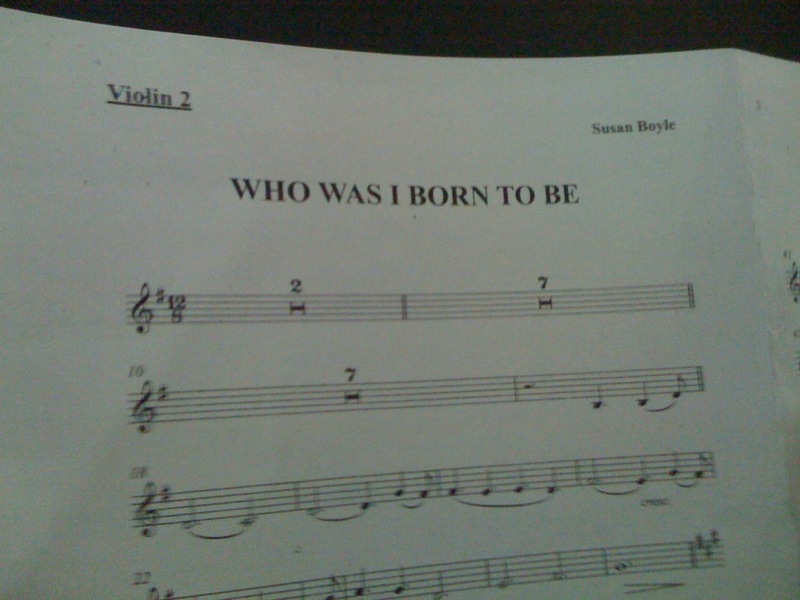 Wow, how cool you got to play for Susan Boyle ! What an interesting story, Dave. I missed it the first time around but enjoyed it now. I very much agree with Damon about “capitalization,” as Susan Boyle is loving every minute of the new career she got out of BGT. She had the talent, but it took a viral YouTube video to launch her. The biggest winners, besides the lady herself, are the multitude of fans who absolutely love her singing. Priceless! P.S. Dave, did you ever live in Kansas? I knew a David Belden there, long ago.